Ramachandran Nagaswamy, Dr. (b.1930) obtained Masters degree in Sanskrit language and literature (Madras) and Ph.D. in Indian Arts (Poona). His Fields of specialization are: Art, Archaeology, Architecture, Literature, Epigraphy, Paleography, Numismatics, Temple rituals and philosophy, Ancient law and society, Music, Dance and South Asian Art. Dr.R.N. served as Curator for Art and Archaeology, Madras Museum (1959-63) and later joined the Tamilnadu State Department of Archaeology as Assistant Special Officer (1963-65) and became the First Director of Archaeology of the State and held that post till retirement (1966-88). After retirement he headed the Epigraphy Program, EFEO Pondichery, and as Consultant, Government of India, Documentation of Cultural property Tanjavur Brahadisvara Project (UNDP program), under the Indira Gandhi National Center for the Arts . Dr.R.N made Archaeology a very popular subject in Tamilnadu, especially among Children through publication of Pocket book guides. He was also responsible for involving several thousand School and College students in cleaning and preserving near by historical places and monuments. He also popularized monuments by bringing out popular guides in the form of News-paper, priced at ten paise per copy. He was responsible for protecting several historic monuments like the First cent. Chera inscriptions at Pugalur, the Palace site of the the Imperial Cholas at Gangai-konda-cholapuram, the famous 17th cent Thirumalai Nayak palace at Madurai, the 17th cent, Danish Fort at Tranquebar, and the birth place of Great National Poet Subramanya Bharati at Ettayyapuram besides excavating the palace site of Virapandya-kattabomman at Pancalamkurchi. Dr.R.N. piloted and directed the Sound and Light ("Son En Luminaire") program in the 17th cent. Thirumalai Nayak palace at Madurai. Nagaswamy was the first to carry out Under Sea Archaeological Survey off the Coast of Pumpuhar in Tamil nad. An acknowledged International Expert on South Indian Bronzes, RN appeared as an Expert Witness in the London High Court, in the now famous London Nataraja case. The Judge of the London High Court, in his Judgement described Dr.Nagaswamy as an unequalled expert in his subject. He was mainly instrumental in developing the State department of archaeology in all aspects of Archaeological activity and started as many as 12 regional museums including a Prehistoric museum at Poondi, and Islamic museum at North Arcot besides a number of District museums and site museums. He started an Institute of Epigraphy under the Tamilnadu State Department of Archaeology to train students in post-graduate diploma in Epigraphy and Art. Dr.R.N undertook to popularize Art and Archeology through Dance and Music at archaeological sites and monuments as at Gangai-konda-cholapuram, Madurai, Darasuram and so on. He composed several dance dramas on historic themes like the life of Rajaraja chola, Rajendra chola, Manimekhalai, Arunagirinathar, Appar and others, and presented them in different parts of India and also in foreign countries like Germany, Sweden, U.K, Canada and USA. It was Dr.R.Nagaswamy who started and founded the now world famous Chidambaram Natyanjali Festival, 24 years ago with Kapila Vatsyayana and continues to serve as its Founder secretary. He has organized several exhibitions including the one at Kualalampur during the first world Tamil Conference in 1965 and the special exhibition on South Indian Bronzes at the National Museum, New Delhi in 1983, during the Non-Aligned Summit meet. RN has organized several District, State, National and International Seminars including the International Conference on Arts and Religion at Chidambaram in 2001. The proceedings of the last has been edited by RN and published under the title "Foundations of Indian Arts". He has published under the State Department, more than 120 books including monographs, texts of inscriptions, translations, and guides in Tamil and English. Many important Excavations at places like Karur, Alagankulam, Korkai, Gangaikonda-cholapuram, were conducted by him. 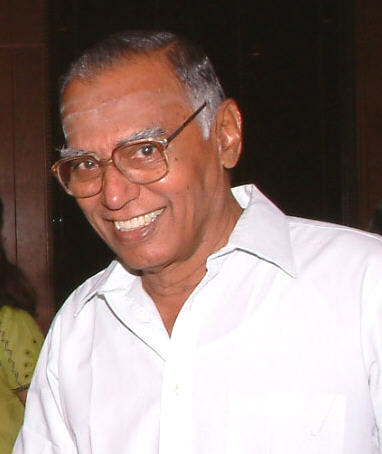 Nagaswamy has been honoured by various organisation for his contribution to Tamil Archaeology, among which the award of Kalaimamani by the Government of Tamilnadu deserves special mention. A keen researcher and an Internationally acknowledged Art Historian and scholar, RN has published several books including "Master pieces of South Indian Bronzes", "Siva Bhakti", Tantric Cult in Tamilnadu, "Uttaramerur" in French with Dr.Francoise Gros (1970) and "Facets of South Indian Art and Architecture".Dr.R.nagaswamy is an eloquent speaker and has given frequently talks in Radios and Television including in BBC.